Oakland, July 22, 2013 – As the California prison hunger strike enters its 3rd week, reports of retaliation against strikers have increased. 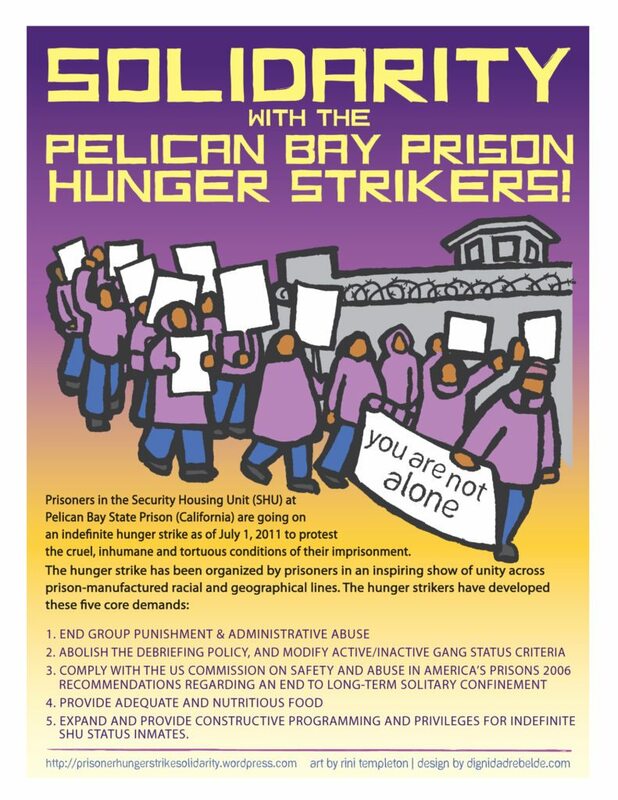 Last week it was reported that prison officials had moved at least 14 strikers from the Security Housing Unit (SHU) at Pelican Bay to Administrative Segregation (Ad-Seg), confiscated confidential legal documents, and forced cold air into their cells. Later in the week, legal advocate Marilyn McMahon and one of her paralegals were summarily banned from visiting any California prison. Reports that strikers have been moved to Ad-Seg or to entirely different facilities have also been coming from Corcoran State Prison. The denial of medical care to strikers, especially those with preexisting health conditions, remains a widespread concern for families and advocates. Meanwhile, the California Department of Correction and Rehabilitation (CDCR) continues to claim that the hunger strike is a massive gang conspiracy. At the same time, the CDCR claims its SHU and debriefing programs have been thoroughly reformed and are effective at creating safety throughout its prison system. Please find below a point-by-point clarification of recent claims made by CDCR spokesperson Terry Thorton on Al Jazeera’s The Stream, July 18, 2013. FACT: There is no way for a prisoner to challenge this administrative process, or an indeterminant sentence; one of the main demands of the hunger strikers is for a modification of the criteria for gang validation. In fact, the recently revised criteria for gang validation has actually expanded, making it easier for the CDCR to validate wider groups of prisoners. FACT: The yard is still part of sensory deprivation – prisoners have no access to any outside recreation. The mandated hours are few and routinely not met. Reading materials are heavily restricted and possession of certain kinds of materials can be cause for gang validation. There are NO educational programs in SHU. Visiting is conducted through glass, no physical contact is permitted with visitors, and the visiting times are very short (1-1.5 hours). FACT: If the new policy is genuine, those who have been isolated without disciplinary charges should be placed back in general population immediately. Releasing 208 out of 12,000 people from isolation into general population hardly indicates a good-faith effort to introduce a new program. 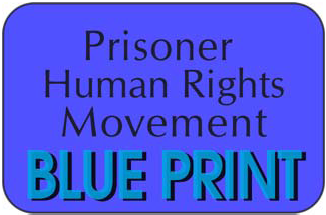 FACT: a quick resolution of the strike would be good faith and binding discussions and engagement with the prisoner representatives in all the prisons. Honest negotiations would lead to an immediate implementation of reforms. As the CDCR is mired in numerous lawsuits regarding human rights violations–medical negligence, overcrowding, inadequate mental health services–outside oversight and intervention is crucial. California Governor Brown’s silence on the strike is unfortunate given his unique position to be able to compel change in one of the world’s most notorious prison systems. This entry was posted in From Inside Prison, Press Release. Bookmark the permalink. Reblogged this on the time is nigh.